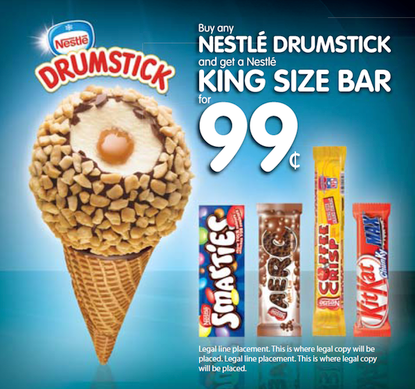 National Canadian promotion for Nestlé Drumstick. First prize was $100,000. 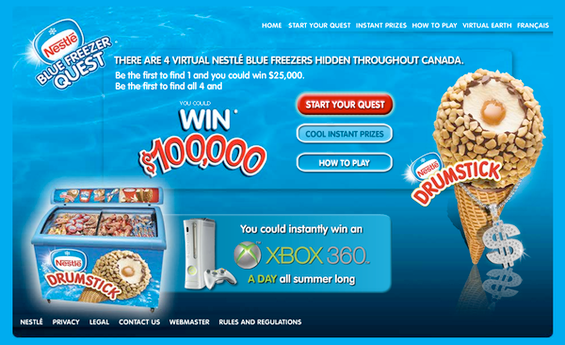 The Blue Freezer Quest for Cash as a promotion that ran during the Summer of 2008. 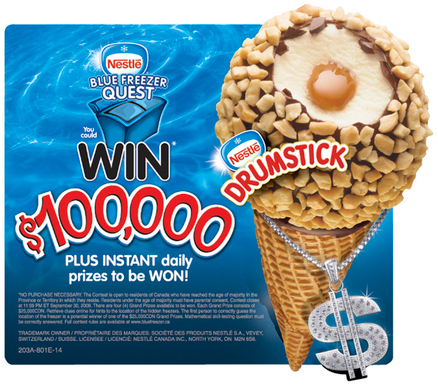 It gave consumers and chance at winning $100,000 by searching for clues online. It was an enormous success. This project required several POS touch points (English and French) as well as a full website portal.